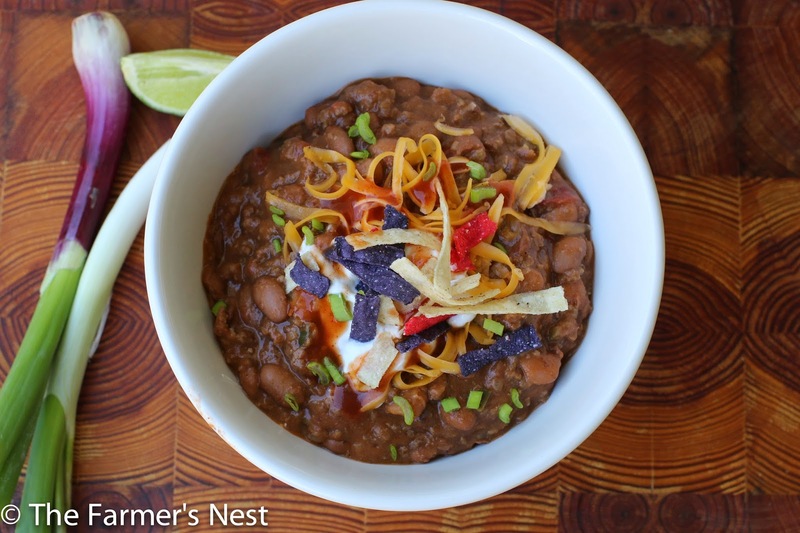 This recipe is a continuation of this Pinto Bean Recipe. 1/4 cup of taco sauce ( we used Taco Bell HOT sauce purchased at the store). Note this is not salsa but more of a vinegar and tomato based sauce much like tabasco. 3. Add in all the seasonings for the beef with 1/4 cup of water and mix it through making sure to coat the beef with the seasonings. 4. Transfer the beef and onion mixture to a soup pot and add in rotel, beans and taco sauce. 5. Let simmer on low, stirring often for at least an hour. 6. 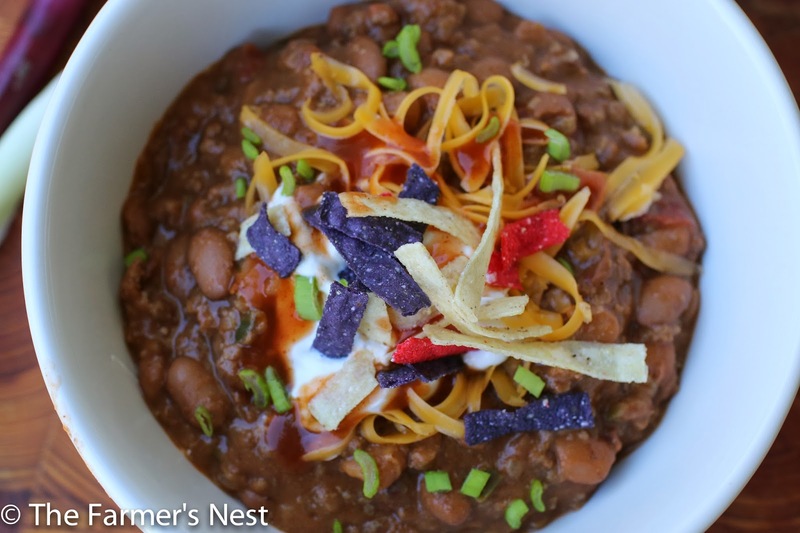 Serve with grated cheddar cheese, sour cream, more taco sauce and tortilla strips or chips. *The pinto bean recipe makes a LARGE batch. We typically freeze two containers of 4-5 cup quantities and then a few smaller portions of 1-1.5 cups to go with our Mexican meal night. 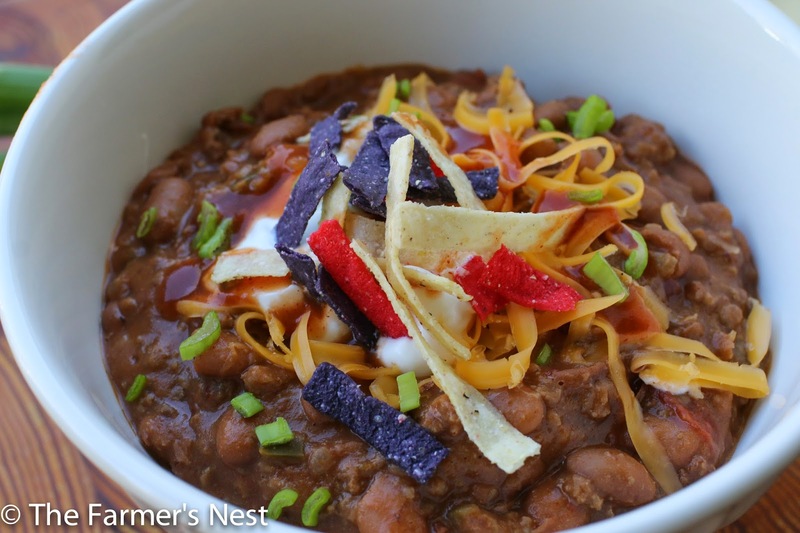 We use the large batches of beans to make this amazing Mexican Chili recipe.